As the U.S. military has drawn down in Afghanistan in recent years, Afghan troops have held Afghan contractors at gunpoint, assaulted others and forced some to do jobs outside the scope of U.S. taxpayer-funded contracts, according to a new government watchdog report. Some of these contractors have “been held against their will at gunpoint and locked in containers for extended hours” when trying to remove contractor equipment from an installation, the Special Inspector General for Afghanistan Reconstruction, or SIGAR, report found. In other instances, Afghan troops “shaved the heads of contractor staff for not complying with (Afghan military) orders to repair equipment outside the scope of the contract,” according to SIGAR. Some of the issues occurred in recent years as contracts for base services initiated by NATO were supposed to be continued under new Afghan Ministry of Defense contracts. As of January, Afghan forces had stolen contractor equipment from 17 sites across the country, materials that include batteries, exhaust fans, oil, air and fuel filters, window air conditioners, washers, gaskets, seals, lighting fixtures and conex containers, according SIGAR. The nominee to take over the combatant command told senators he can't put any timeline on the 17-year-old mission there. This month’s report was part of a review of three U.S. Army Corps of Engineers, or USACE, contracts valued at more than $1 billion. The $780,000 in contractor equipment stolen by Afghan forces is a proverbial drop in the bucket when it comes to those contracts, or the roughly $9 billion SIGAR says was spent by the Pentagon on Afghan police and army infrastructure as of last year. Congress has appropriated more than $78 billion to support the Afghan army and police, the report notes. But the theft of contractor property marks the latest development raising questions about whether the Afghans can operate on their own as U.S. involvement there enters its 18th year, and whether Western principles regarding private property and rule of law apply at all in the impoverished country. Theft of spare parts and equipment came as USACE provided about $1.3 million in excess spare parts and materials for two of the completed contracts. While USACE told investigators that it has addressed mistreatment and equipment theft reports, it still has no system for tracking such reports, according to SIGAR. 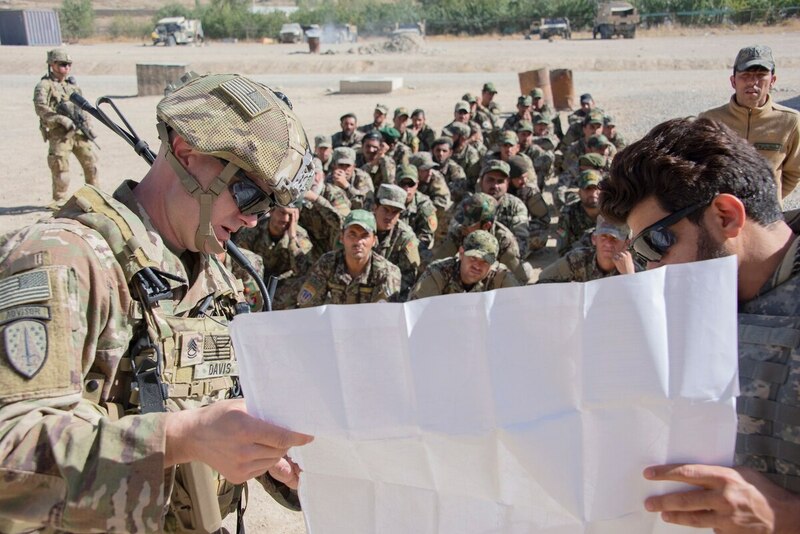 The Combined Security Transition Command-Afghanistan, or CSTC-A, is the main NATO effort to build Afghan security forces infrastructure and capacity, all those things the Afghan army and police would need to eventually stand on their own. But according to SIGAR, CSTC-A has held off on issuing any financial penalties to the Afghans for such contractor thefts, arguing that withholding money “harms (Afghan) forces more than it would tend to change behavior” of the bad actors. CSTC-A officials said that “current counter-corruption efforts have begun showing results in identifying, targeting, and prosecuting” such bad actors, but SIGAR did not assess that in the current report. While two of the involved contracts ended in 2015, one “national maintenance contract” expires this month, meaning “it is possible that additional equipment may have been confiscated, resulting in further costs to the U.S. government,” according to SIGAR. USACE officials told SIGAR they were able to help the contractors recoup some of the lost equipment, but that the U.S. government has also paid the companies for property confiscated by the Afghans that could not be recovered.